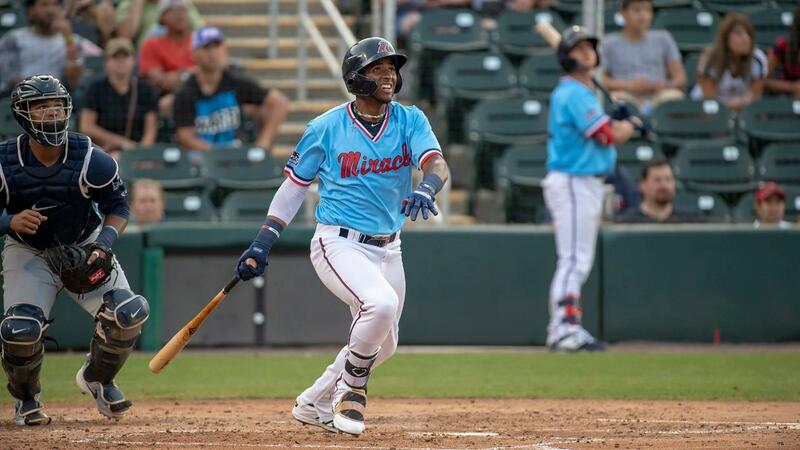 FORT MYERS, Fla. - Lewin Diaz delivered a ninth inning RBI single, as the Fort Myers Miracle walked off against the Dunedin Blue Jays, 1-0, on Tuesday night at Hammond Stadium. With the bases loaded and one out in the ninth, Diaz pulled a single past the dive of the first baseman Christian Williams and into right field to chase home Royce Lewis and snap a three-game losing streak. Randy Dobnak, in his High-A debut, tossed five scoreless innings. The Pennsylvania native scattered five hits. He walked one and struck out two. Tom Hackimer (2-0) notched his second win of the season with 1.1 shutout innings. The right-hander struck out four. Hector Lujan also pitched for the Miracle, throwing 2.2 scoreless innings. The four-game series continues on Wednesday afternoon in Fort Myers. Bryan Sammons (0-0, 0.00) takes the mound for the Miracle. He will square off against Maximo Castillo (0-0, 2.25). First pitch is slated for 1:00 p.m.